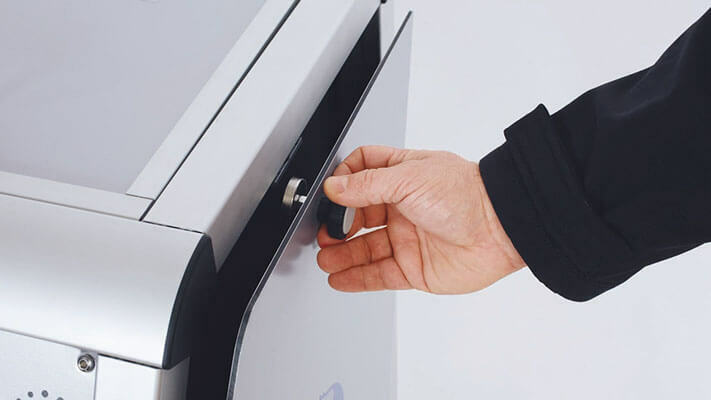 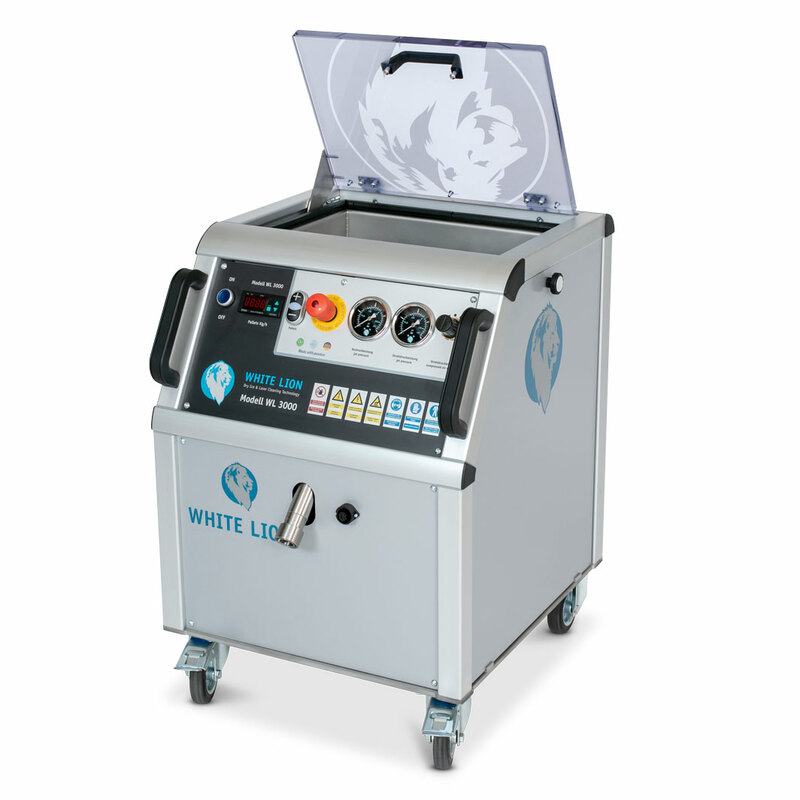 The White Lion 3000 Profi is equipped with a filling container with glass lid, a conductive chassis and a light and at the same time robust aluminum casing. 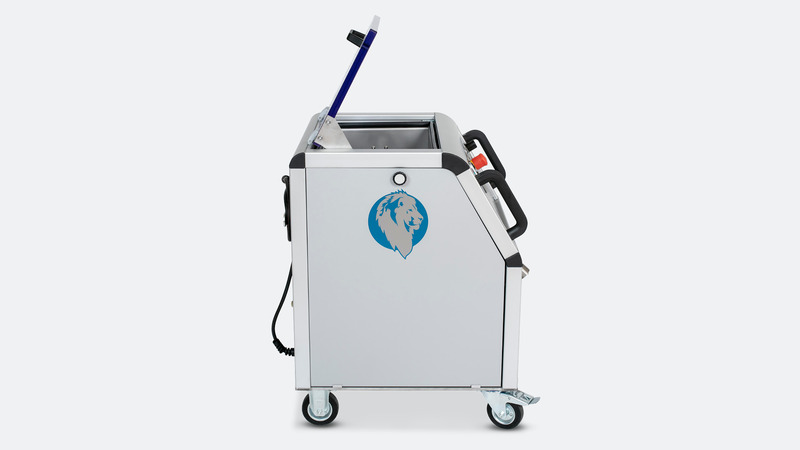 This makes this dry ice blasting system so unique, economical and powerful as well. 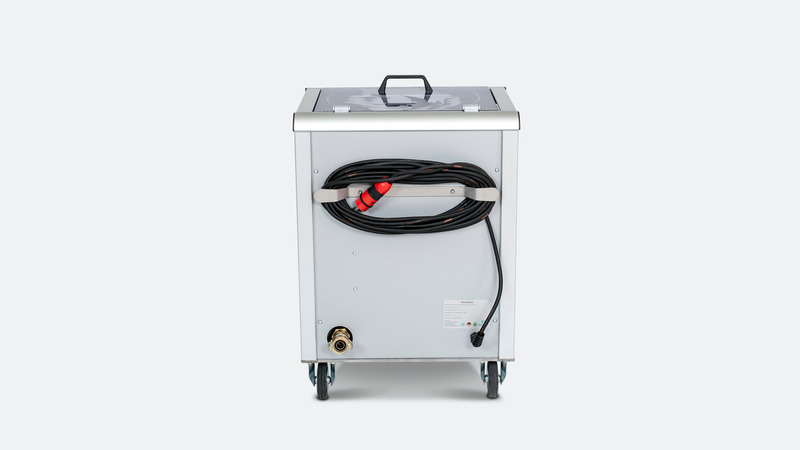 The dry ice blasting system WL 3000 Profi is a universally applicable mobile dry ice blasting machine for the technical cleaning of surfaces with different impurities and convinces with versatility and comfort. 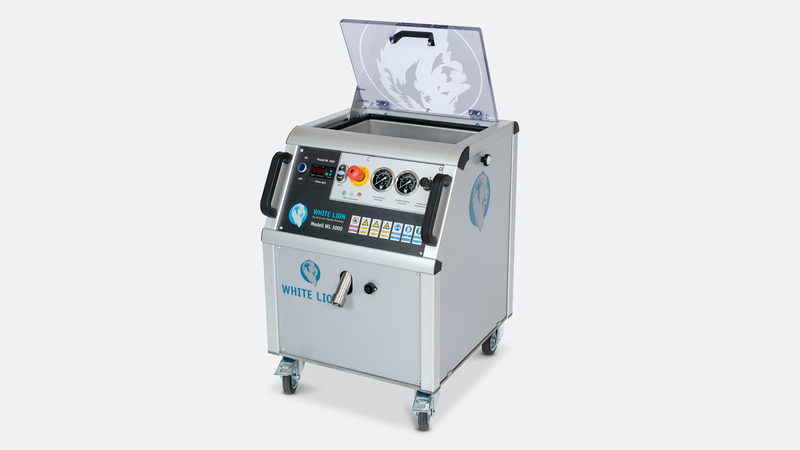 Our successful WL 3000 series consists of three different variants, the WL 3000 Profi, the stainless steel version WL 3000 IRON and the WL 3000 Black Edition. 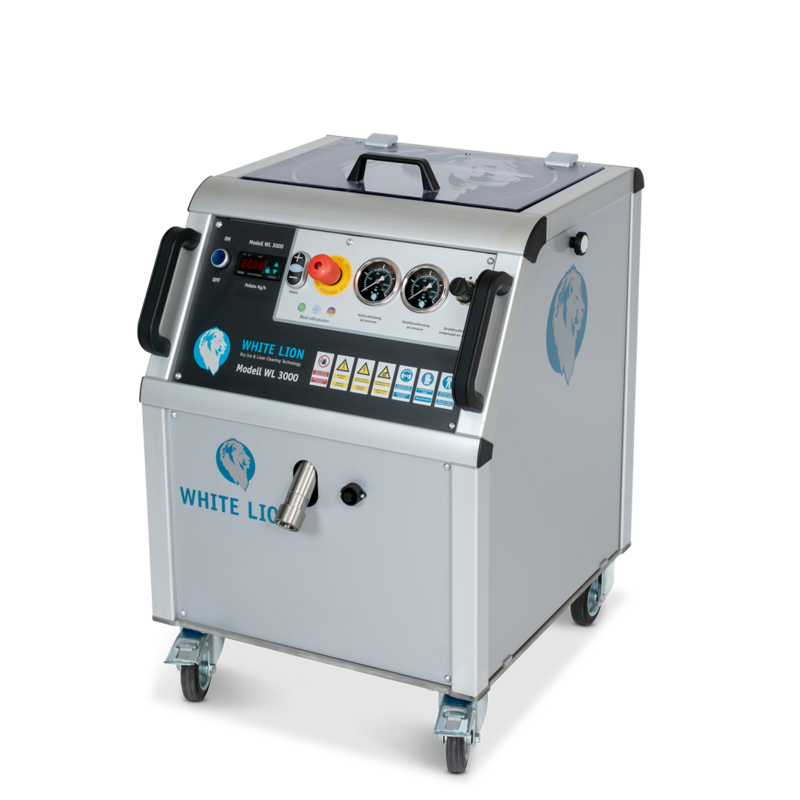 In this video we would like to introduce you to the White Lion dry ice blasting machine WL 3000 Profi. 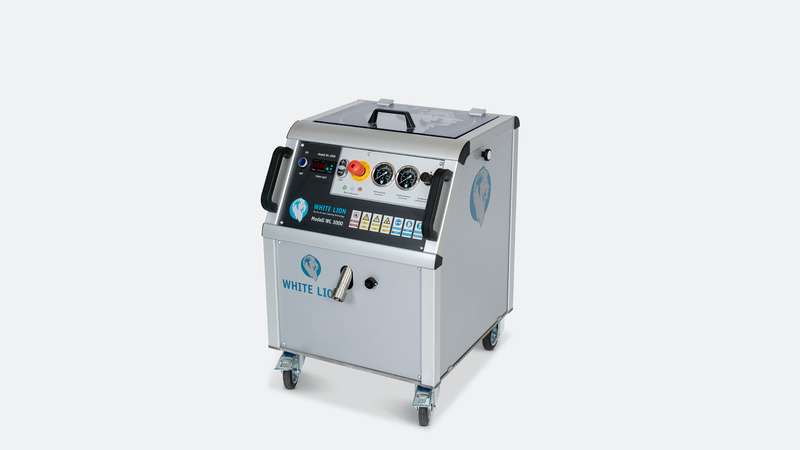 The model WL 3000 Profi is the all-rounder among the dry ice blasting devices and is a versatile tool for the dry ice cleaning of surfaces with a wide variety of impurities. 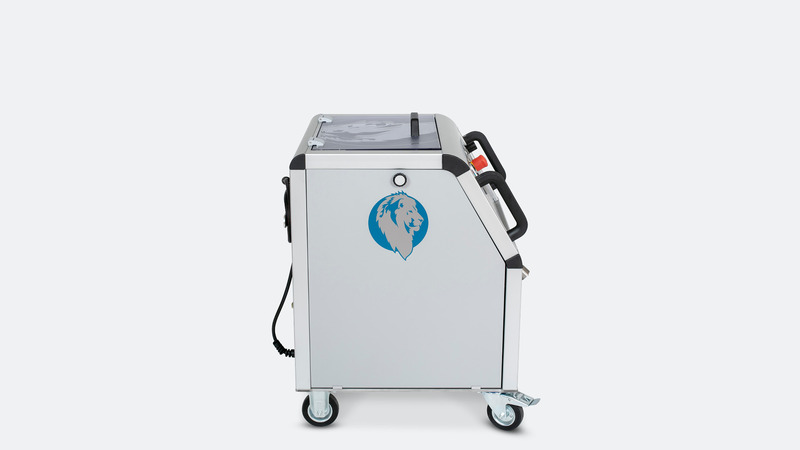 With its high blasting volume of dry ice pellets – up to 120 kg / h – you can remove stubborn impurities or coatings quickly and economically.